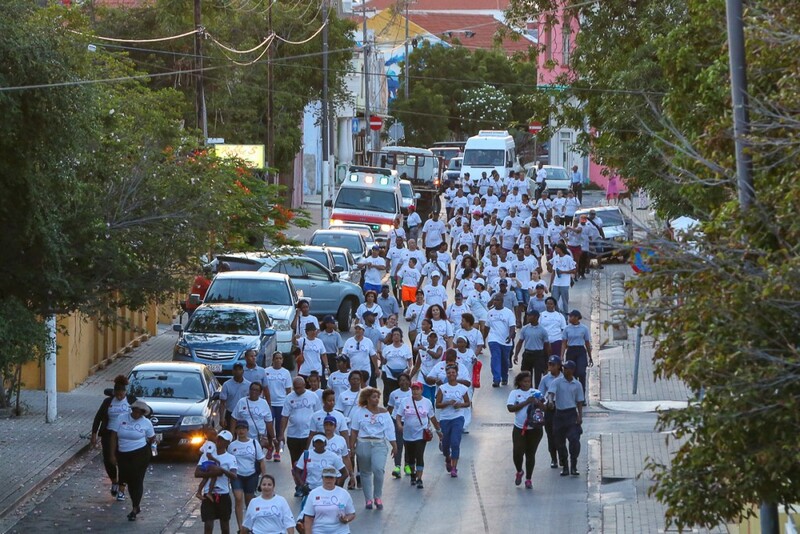 WILLEMSTAD - Fundraising for one of the region’s largest cancer care and awareness events has kicked off across the Dutch and English-speaking Caribbean with over USD$ $267,119 being raised so far from over 160 corporate supporters. The sixth edition of CIBC FirstCaribbean’s Walk for the Cure is expected to again attract over 20, 000 walkers and runners across the 17 territories where the bank operates. The walks will take place in October 2017. “We are really excited about this year’s walk. There is a surge of energy throughout our organization as hundreds of our staff are already busy with a number of fundraising events as well as planning for the various walks,” said Trevor Torzsas, Executive Co-Chair of the walk and Managing Director, Customer Relationship, and Management. “Last year we raised USD$500, 000 all of which we donated to support the life-changing work of our partner cancer care organizations in each of the countries where we operate. This year we are going to do all that we can to ensure that we surpass last year’s figures,” said Mark St. Hill the other Executive Co-Chair and Managing Director, Retail and Business Banking. “As a corporate family, we know the pain and loss that cancer inflicts. Raising awareness, championing early detection and making life just a little more comfortable for those with cancer, their families and caregivers is what our walk is about”, St. Hill said. The funds raised are used to provide assistance, care, and counseling to patients and their families as well as to raise awareness through education campaigns across the region. They also help the various organizations to assist with the purchase and maintenance of equipment used in the diagnosis and treatment of patients. Over the past five years, the bank has raised over USD $1.3 million from the event primarily supported by generous corporate donors and diverse fundraising activities and events hosted by staff members. The co-chairs said the bank will be launching its revamped walk registration and donation website very shortly which is expected to offer increased opportunities for further fundraising. They praised the fund-raising efforts of the bank’s staff and the enthusiastic support of the business community who have been coming on board as platinum, gold, silver and bronze sponsors. This year the bank’s business in Curaçao has partnered with Stichting Prinses Wilhelmina Fonds to stage the Walk for the Cure. Sponsors contributing to the walk are Always, Amigoe, Curoil, Ensure, Extra, Kellogg’s, LBH Group, Neutrogena and NuCuraçao Windparken B.V. The walk will take place on October 21 and will start at 5.30 PM. Tickets are for sale at Nafl. 17.50 for adults and Nafl.10,-- for children. The walk is also held to coincide with the Canadian Breast Cancer Foundation’s CIBC Run for the Cure sponsored by the bank’s parent company, CIBC. CIBC has been supporting this event for 21 years, donating millions to breast cancer research in Canada.